Tereza Svačinová, PhD candidate, researches and lectures on European Union’s agricultural and budgetary policy. She has published on Common Agricultural Policy and EU environmental policy. Recently, she co-authored a publication on EU budget. Svačinová, Tereza, 2011, Lisabonská smlouva a její vliv na Společnou zemědělskou politiku EU [The Lisbon Treaty and its Impact on the EU’s Common Agricultural Policy]. Současná Evropa 16(2):159-175. Dr. Zuzana Kasáková, researches and lectures on regionalism, regional challenges to the nation state and EU regional policy as well as political development and history of the United Kingdom with special attention to Scotland. She has published on EU regional policy and the role of regions in the EU after the Lisbon Treaty, and Scottish devolution. Kasáková, Zuzana, 2009, Future prospects of Scotland. Acta Universitatis Carolinae: Studia territorialia 9(4):65-96. Kasáková, Zuzana – Řiháčková, Věra, 2008, The Czech 2009 EU Council Presidency: a starting point assessment. Praha: Friedrich-Ebert-Stiftung. 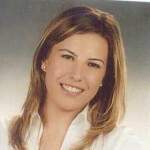 Damla Cihangir is an PhD candidate in political science at Sabanci University. Dr.Arzu Kibris is a visiting assistant professor at Duke University, Political Science Department in 2011-2012 and an assistant professor at Sabanci University from Fall 2012 onwards. 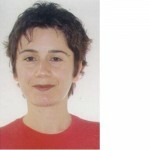 She received her PhD in Political Science at Sabanci University in 2010. She holds an MA in Economics from the University of Rochester and a BS in Management from Bilkent University. Her research focuses on political conflict, linkage politics, and quantitative methods. Arzu Kıbrıs, ‘Uncertainty and ratification failure’. Public Choice, 150 (3-4), 2012, pp. 439-467. Arzu Kıbrıs and Meltem Müftüler-Baç ‘The accession games: a comparison of three limited-information negotiation designs’, International Studies Perspectives, vol.12, no.4, November 2011, pp.405-433.